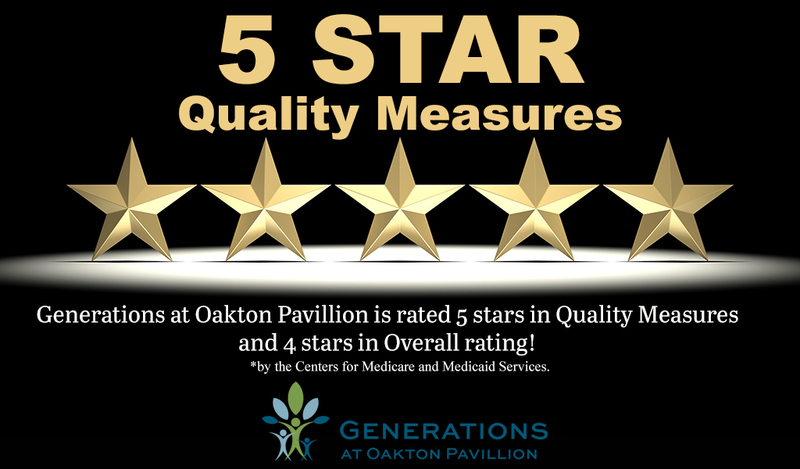 Generations at Oakton Pavillion is proud to have increased to a 5-Star rating for Quality Measures and a 4-Star Overall Rating by the Center for Medicaid and Medicare Services. Our dedicated staff continues to strive for excellence in all aspects of care. This achievement is the result of a process that began 4 years ago when Generations at Oakton Pavillion came under new management.